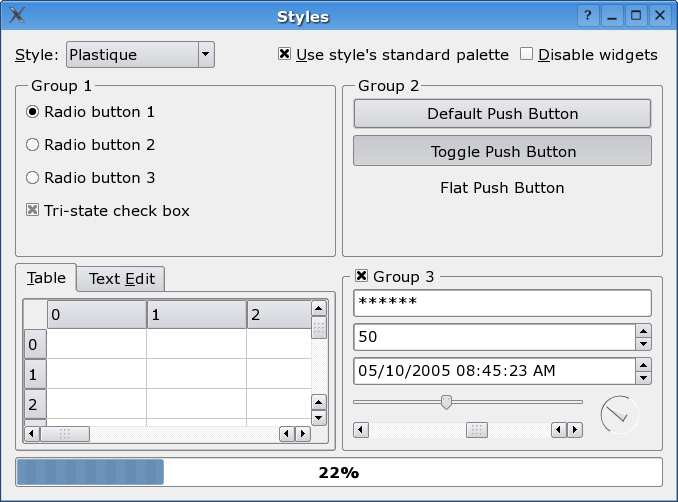 The QPlastiqueStyle class provides a widget style similar to the Plastik style available in KDE. The Plastique style provides a default look and feel for widgets on X11 that closely resembles the Plastik style, introduced by Sandro Giessl in KDE 3.2. See also QWindowsXPStyle, QMacStyle, QWindowsStyle, QCDEStyle, and QMotifStyle.